Liquid biopsies are a growing area of interest for cancer diagnostics, offering a number of advantages over traditional methods. However, before more widespread adoption of these tools is seen in hospitals, there is a need for a more standardized approach to testing. One possible solution to help overcome this challenge, is SOPHiA™, a recently introduced artificial intelligence platform. 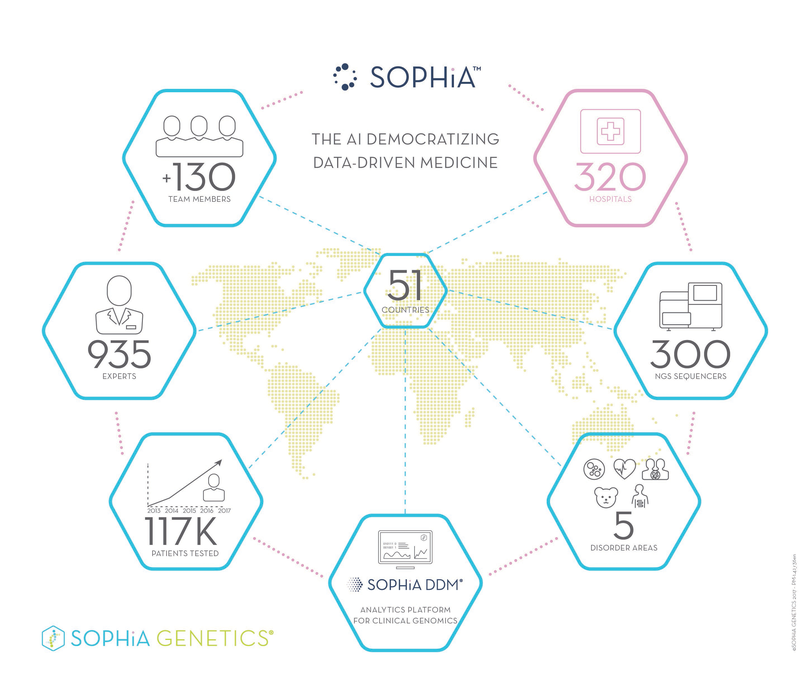 To find out more about SOPHiA, the benefits it offers, and the role that AI could play in the future of healthcare, we spoke to Dr. Jurgi Camblong, CEO and co-founder of SOPHiA GENETICS. Can you tell us about some of the advantages liquid biopsies offer over more traditional tissue biopsies? Liquid biopsy is a new paradigm. Compared to tissue biopsies, liquid biopsies allow clinicians to perform analysis of solid tumors and hematological malignancies at various time points to detect tumor progression and monitor treatments’ effectiveness. Also, a liquid biopsy tends to be more accurate than a tissue biopsy as they offer a more comprehensive picture of the spread or remission of a cancer. To sum-up, liquid biopsies allow clinicians to have several different analyses run over time in one blood sample and adapt treatments accordingly. For patients, this new approach represents a faster and less invasive alternative to existing solutions. What has been responsible for the lack of widespread adoption of liquid biopsies in the clinic so far? The lack of a standardized accurate and unbiased analytical solution able to take into account low ctDNA levels has for a long time been the main significant barrier to the widespread adoption of liquid biopsies in hospitals. Can you tell us a little about SOPHiA and how it can help overcome some of these limitations? Our new application for liquid biopsy taps the analytical power of our artificial intelligence SOPHiA to help clinicians diagnose, treat, and monitor cancer earlier and more effectively by looking at circulating tumor DNA (ctDNA) contained in patients’ liquid samples such as blood, urine, and cerebral spinal fluid. SOPHiA solves the existing challenges in liquid biopsy by offering a standardized DNA analysis approach to liquid biopsy testing, built upon the network of over 300 hospitals from 51 countries already using SOPHiA for genomic data analysis. Even with low ctDNA levels, SOPHiA provides indispensable insights into tumors’ profiles, straight from liquid samples. Rather than waiting for months to detect changes on an imaging scan, SOPHiA allows clinicians to monitor a tumor’s progression with remarkable precision from a simple blood test. Faster and more accurate analysis eliminates undue anxiety resulting from biased answers and unclear response to heavy treatments, making regular status-checks less stressful and painful for patients. To facilitate the interpretation of all the genetic variants detected by SOPHiA in ctDNA, the analysis results are presented in the company’s OncoPortal™, an interface dedicated to solid tumors and hematological malignancies, which experts can access on the company’s online analytical platform, SOPHiA DDM®. OncoPortal flags associations between human gene variants, disease causality, progression, drug efficacy, and toxicity to help the clinicians better leverage the data analyzed by SOPHiA in order to provide personalized care to patients. SOPHiA's application for liquid biopsies is also available for clinical trials, making it possible to identify the patients most likely to benefit from new treatments. How important do you think Data-Driven Medicine® will be in the future of healthcare? Thanks to AI, Data-Driven Medicine will play a key role to ensure treatments are targeted and personalized for each patient, building on the thousands of previous patient cases we will have analyzed. By 2020, our goal for SOPHiA is to have participated in diagnosing 1 million patients. By then, we should have succeeded in ensuring that patients get access to the best treatments, not based on clinical trials but rather building on evidence-based medicine. Moving forward, SOPHiA will ultimately be used to target treatments, based on the value and benefits they have previously proven to bring to patients. In healthcare, SOPHiA already participated in delivering on several milestones highlighted in President Obama Precision Medicine Initiative, i.e. connect hospitals, pool molecular data and share knowledge. To date, we have helped diagnose over 115,000 patients. The next step is now to expand our knowledge base and head towards a future of real time epidemiology. An era when we can monitor treatments almost real time within patients’ cohorts and where we will be able to say that one particular patient’s cancer is identical to 10,000 other patients, who had received treatment plan A and survived. SOPHiA GENETICS already put the infrastructure in place and democratized the approach. The next step is to have access to more and different types of data and metadata to expand our knowledge base and fully leverage SOPHiA AI technology for Data-Driven Medicine. Next we spoke to Professor Léa Payen-Gay, co-investigator of the CIRCAN program at the Hospices Civils de Lyon Laboratory, to learn more about CIRCAN and the benefits that SOPHiA has brought to the program. Can you tell us about the CIRCAN program? The CIRCAN (“CIRculating CANcer”) program is a comprehensive research program on liquid biopsy developed at the Hospices Civils of Lyon, with the support of the Cancer institute of the Hospices Civils of Lyon. Samples are collected within the framework of the CIRCAN study, which is a prospective and retrospective programs established to setup the analysis of circulating biomarkers. Primary and metastatic patients are included at diagnosis and during progression for NSCLC, colon cancer, etc. The program hosts Next Generation Sequencing, BEAMing and Digital PCR (BioRad) optimized for cfDNA analysis and circulating tumoral cells (CTCs). How is SOPHiA being used in the program, and what benefits has it brought? The Hospices Civils de Lyon, which is the second-oldest teaching hospital in France, is an early adopter of SOPHiA for liquid biopsies. We use this cutting edge technology to analyze samples directly within the hospital after ctDNA has been sequenced. 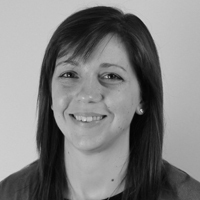 For us, SOPHiA makes it easy to carry out a molecular profile for patients. It helps us find relevant models in certain cancers so that we locate mutations that can serve as predictive biomarkers to help us choose therapies. SOPHiA makes it easier for us to detect multiple mutations from small fragments of ctDNA. We can run different analyses from one blood sample and personalize the treatment. This approach tends to be more accurate than a tissue biopsy, since the latter is just a sample from one area and not a full representation of a disease. It also reduces stress on patients and can lower costs by avoiding invasive biopsies and inappropriate drug choices. How much of a role do you think artificial intelligence will play in the future of cancer diagnosis? I think AI will play a key role to ensure treatments are targeted and personalized for each patient and oncology should be the first disease area to benefit from this technological advance. Dr. Camblong and Professor Payen-Gay were speaking to Anna MacDonald, Editor for Technology Networks.